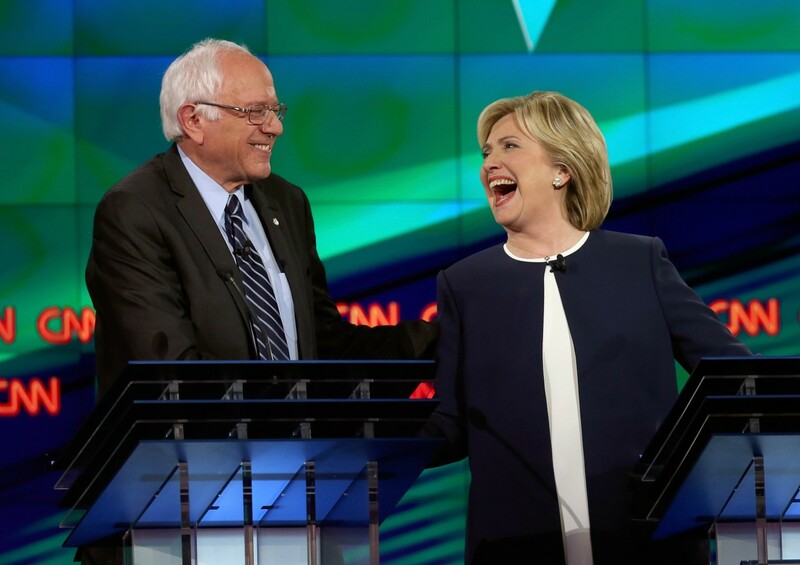 After Bernie Sanders' presidential campaign was disciplined by the Democratic National Committee for improperly accessing the Hillary Clinton campaign’s proprietary voter database, documents obtained and reviewed by NBC News appeared to show that at least four individuals affiliated with the Sanders campaign conducted searches and saved the Clinton campaign’s lists of potential voters over a period of more than 40 minutes. NBC News has verified the authenticity of the documents, which appear to shed new light on the depth of the data breach, with a secondary source. The DNC has revoked the Sanders’ campaigns credentials to access the data until an investigation has been conducted. The Sanders campaign responded Friday by calling the staffers' actions "inappropriate" but also filed a lawsuit against the DNC over a "breach of contract." 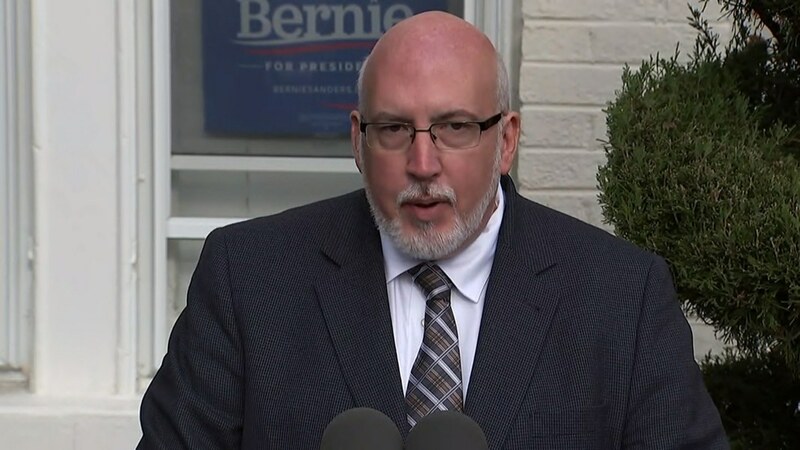 "Rather incredibly, the leadership of the DNC has used this incident to shut down our ability to access our own information, information which is the lifeblood of this campaign," said Sanders campaign chief Jeff Weaver. The complaint, filed late Friday in a U.S. district court in Washington, D.C., estimates the campaign could lose about $600,000 per day in donations because of the DNC's actions and that the political implications are "far more severe" and "incapable of measurement." Weaver added that the campaign has fired one staffer involved in the incident and that it is internally investigating whether other individuals should be disciplined. "We are running a clean campaign," he said. National data Director Josh Uretsky, the staffer who was fired, told MSNBC in an interview that he takes responsibility for the incident but that he did not believe accessing the data was wrong. "We didn't use [the data] for anything valuable and we didn't take custodianship of it," Uretsky said, arguing that he was trying to document the existence of the security breach but not exploit it. "It's like if somebody leaves the front door open and you left a note inside the front door saying 'you left the door open,'' and then maybe you would check the side door to make sure that door was closed," he said. "Honestly, the system belongs to the DNC and I did not believe at the time that I did it that they would think what I was doing was wrong," he added. The breach happened after a software error at the technology company NGP VAN, which provides campaigns with voter data. As a result of the glitch, "all users on the system across the Democratic campaigns were inadvertently able to access some data belonging to other campaigns for a brief window," DNC spokesman Luis Miranda said in a statement. Earlier Friday, in an interview with MSNBC’s Tamron Hall, Democratic National Committee Chair Debbie Wasserman Schultz said the allegation is that the Sanders staffer or staffers accessed the Clinton campaign’s voter-file information, exported it and downloaded it. Another person familiar with the investigation also told NBC News that a total of four individuals affiliated with the Sanders campaign appear to have accessed the data, including Uretsky and Deputy National Data Director Russell Drapkin. A series of documents outlining an audit trail maintained by the database company, obtained and reviewed by NBC News, shows that the four individuals spent a total of about 40 minutes conducting searches of the Clinton data. Those searches included terms that point to Sanders’ team gaining access to proprietary lists from more than 10 early voting states of Clinton’s likely supporters as well as lists for Sanders backers. That data was saved to personal folders. It also appears that Drapkin “suppressed” two folders after the database company became aware of the breach. The Clinton campaign learned of the breach on Wednesday, a source told NBC News. Clinton campaign manager Robby Mook told reporters on a conference call Friday afternoon that "our data was stolen" and said it was “totally unacceptable and may have been a violation of the law." 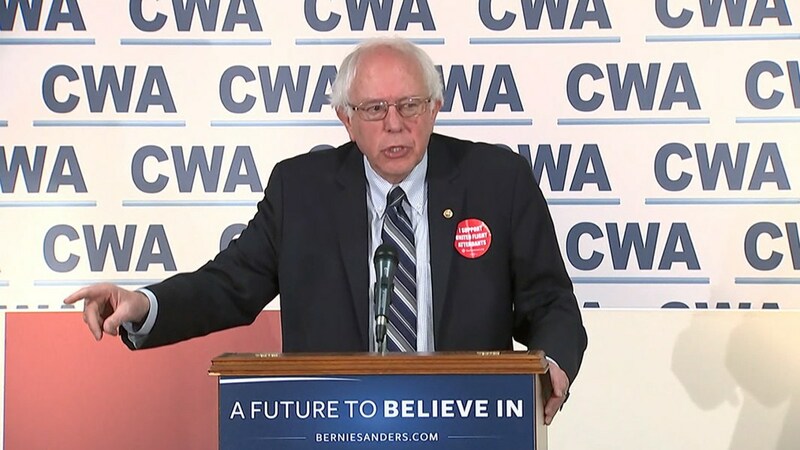 The campaign also said it hopes the Sanders’ camp will submit itself to an independent review. "We’re not weighing in on whether anybody should be penalized in one way or another," Mook said, stressing that a "full accounting" is the most important step right now in assuring the Sanders campaign no longer has access to the data. The DNC's suspension of Sanders' access to the information means that Sanders will be at least temporarily unable to read crucial voter data in the weeks before the Iowa and New Hampshire nominating contests. The information is used by campaigns to determine their strategy for voter outreach and targeting. A DNC official said that the campaign's credentials to access the NGP VAN "until a full explanation is received and proof is provided to the affected campaign that information and data inappropriately gathered has been disposed of." In a statement earlier Friday , Sanders' campaign faulted NGP VAN, the data systems vendor, for continuing to "make serious errors." "On more than one occasion, the vendor has dropped the firewall between the data of different Democratic campaigns," the campaign said. "Our campaign months ago alerted the DNC to the fact that campaign data was being made available to other campaigns. At that time our campaign did not run to the media, relying instead on assurances from the vendor. "Unfortunately, yesterday, the vendor once again dropped the firewall between the campaigns for some data." The Washington Post was the first media outlet to report the breach. 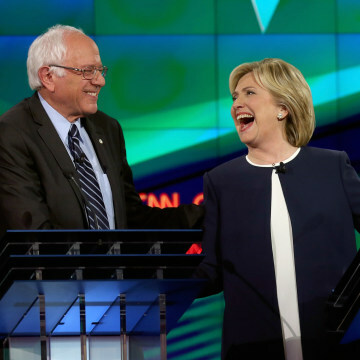 Sanders and Clinton will meet next at the Democratic debate on Saturday.